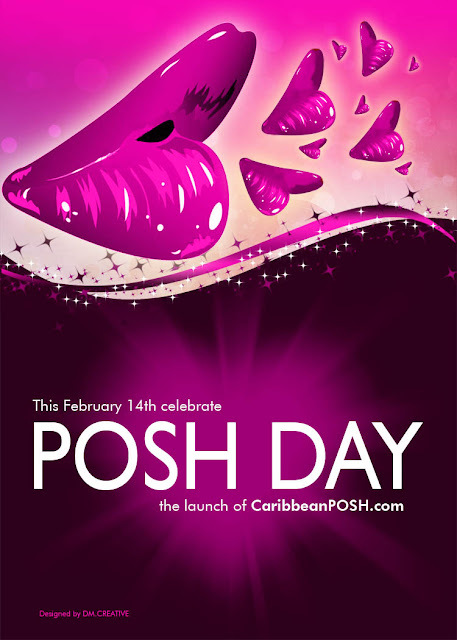 Caribbean Posh Magazine is BACK!!! with the launch of their free online magazine today. This magazine was founded by Virgin Islanders, so that make me a little extra excited for them. I'm glad to say that the content is pretty interesting so far. I miss their print magazines, so I hope that's in the works. Welcome back! Caribbean POSH Magazine is the premier Entertainment & Lifestyle magazine for today’s lover of everything that is Caribbean. An online magazine, POSH is the ideal marketing tool for companies seeking exposure among Caribbean consumers. We feature personal growth articles, celebrity profiles, and well-reported pieces on political and social issues. We also look for articles on careers, travel, health and fitness. And we run short items on community activists and people in the arts. POSH while fashionable in its definition serves as a unifying voice for the elite Caribbean and Carib-American. While our primary audience consist of female readers - POSH is diverse enough for everyone to enjoy. Our culture is strong with much flare, beauty, and style influencing people all over the world. We believe that the Caribbean regional economy can benefit from increase exposure and/or involvement in the entertainment industry. Whether it’s fashion, film or music -- as long as its positive, POSH aims to create many educational and business opportunities for the people of the Caribbean. Red Ginger Cosmetics on Hautelook!